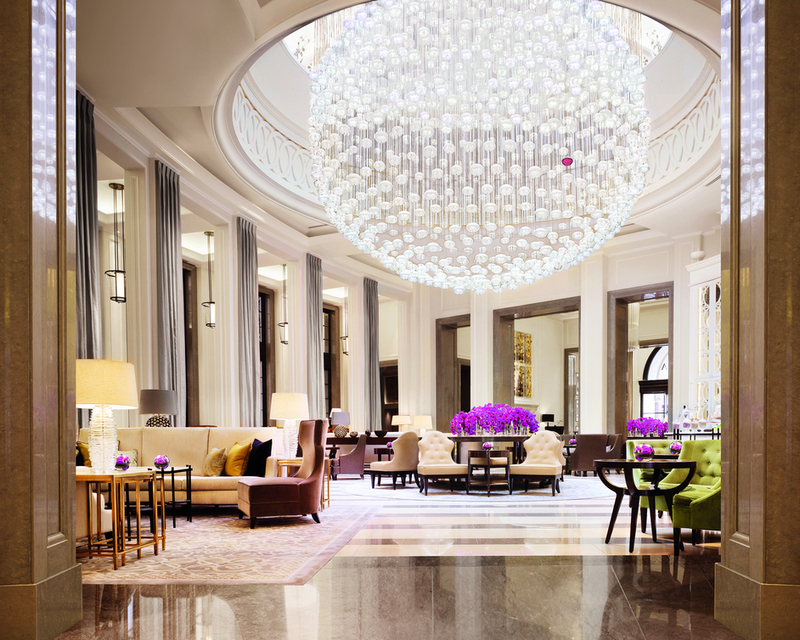 Served in the grand Lobby Lounge while music is played on a Steinway piano, afternoon tea at the Corinthia is a classy affair and one of the best in London. Diners are initially greeted by the magnificent sight of the 'Full Moon' chandelier, created by Parisian designer Chafik Gasmi and made up of 1001 glistening Baccarat crystals. The menu puts the focus on tradition with a classic line up of finger sandwiches including cucumber, radish and cream cheese; egg mayo truffle and watercress; and smoked salmon, crème freche and spring onion. Further options include tandoori chicken with green apple and raisin and roast beef with caramelised onion and wholegrain mustard. Diners are treated to both plain and sultana scones, which come with lashings of clotted cream and jam, while a selection of exquisite pastries are served at the table from a traditional cake trolley. Delicacies include a yoghurt and blueberry sphere, raspberry and elderflower tartlet, chocolate cassis and fig and, the highlight, a lemon yuzu and coconut éclair. To make it even more indulgent, diners are also treated to a slice of lemon drizzle cake - the perfect addition for those who like a simple and traditional sweet treat. Guests can choose between an array of teas, including a bespoke house infusion created especially for Corinthia London's Tea Palace, and there is also the option to enjoy a glass of Laurent-Perrier Champagne. *Prices correct as of October 2018. Corinthia Afternoon Tea gyms, sporting activities, health & beauty and fitness. The best pubs near London Corinthia Afternoon Tea. Corinthia Afternoon Tea clubs, bars, cabaret nights, casinos and interesting nightlife. Where to have your meeting, conference, exhibition, private dining or training course near Corinthia Afternoon Tea. From cheap budget places to stay to luxury 5 star hotels see our discounts for Corinthia Afternoon Tea hotels, including The Trafalgar St. James London, Curio Collection by Hilton from 83% off.